Beautifully effective hair removal with no need for cloth strips. Clean + Easy Hard Wax is designed to adhere firmly to hair, not the skin—making it a fast and effective form of hair removal. 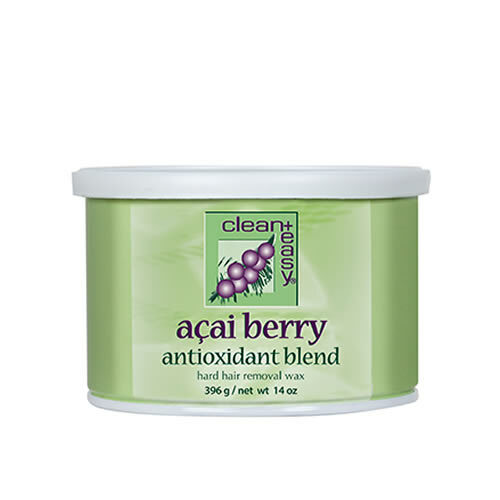 The Açai Berry Hard Wax is perfect for waxing sensitive skin and provides a soothing effect. It's infused with the antioxidant-rich açai berry. The Brazilian Hard Wax formula has been specifically designed for the Brazilian bikini wax technique—it gently removes even the coarsest of hair from the most sensitive of areas, leaving skin smooth and hair-free. It does this leaving no wax residue behind. £9.78 (inc. VAT) Why no VAT? We're a trade wholesaler and quote our prices without VAT to help our VAT-registered customers understand the true cost of a purchase. Super-fine, moisture-absorbing powder with the fragrance and soothing properties of lavender. Reliable and effective antiseptic cleanser that kills bacteria and removes any traces of oil, make-up and perspiration from the skin.